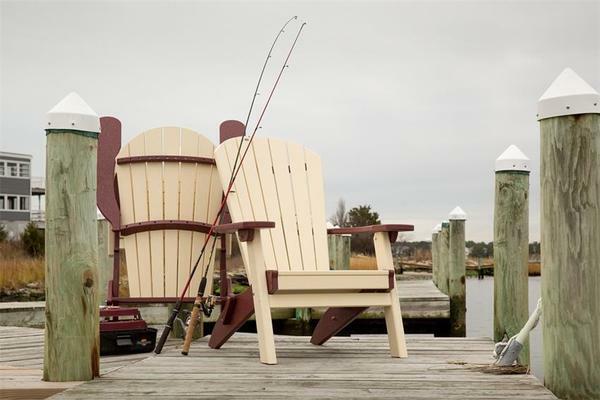 From the back yard to the beach, and everywhere in between, our beautifully handcrafted Finch SeaAira Folding Adirondack Chairs are the ideal way to get a sturdy outdoor piece that can go anywhere with you. Made from high quality poly lumber, these eco-friendly chairs require no maintenance and will stand up to the salty air at the beach, blazing summer sun and a winter of snow cover, without fading, cracking, splintering, rotting or developing mold and mildew. For the first time, you can buy your outdoor furniture with the intentions of keeping it for decades - and with a 20 year warranty to back it up, you'll know your investment in poly furniture was a good one. Choose from a lineup of vibrant poly colors, or combine two for the perfect chairs to match your outdoor space! The addition of a Sunbrella covered seat cushion, throw pillows and neck pillows will leave you sitting comfortably for hours and offer more depth and decor choices for your design. Add the optional cup holder for an easy way to hold your favorite drink and our matching ottoman that will give your feet a place to rest and get some much needed time off.